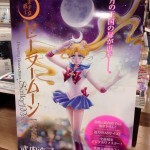 The latest books in the complete editions of the Sailor Moon manga were released in Japan on February 26th. 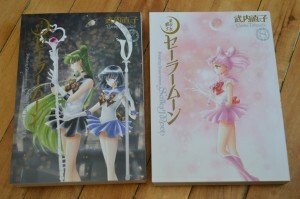 Volume 7 features Sailor Pluto and Sailor Saturn on the cover while volume 8 features Sailor Chibi Moon. 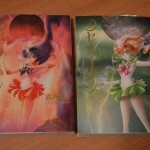 These issues cover the entirety of the Dream arc with Pegasus and the Dead Moon Circus. 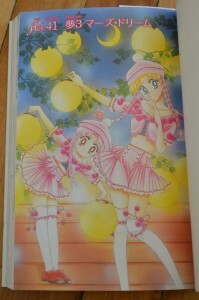 These books are Japanese text only and include all of the colour pages which were previously only seen in the pages of Nakayoshi. Also included in these books are a few side stories. 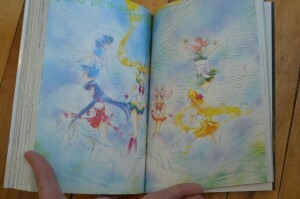 Chibiusa’s Picture Diary 3 is the story of Chibiusa’s adventures going to the dentist, and fighting a monster on the way. There are also three “Exam Battle” stories which follow the girls in their preparations for their high school entrance exams. 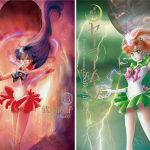 We have The Melancholy of Makoto, Ami’s First Love and Rei and Minako’s Girl School Battle? 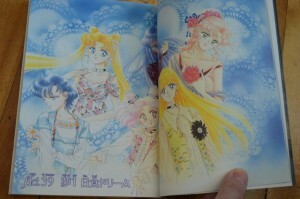 Volumes 9 and 10 will wrap up the series with the Stars arc. 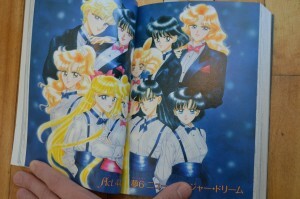 Hopefully Sailor V will be published soon as well though I have seen no official confirmation of this. 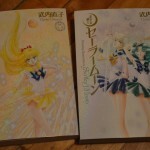 You can pick these books up from Amazon Japan (vol. 7, vol. 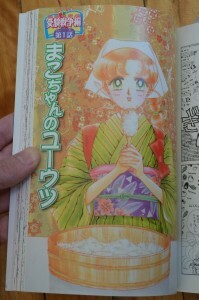 8), JList (vol. 7, vol. 8) or CD Japan (vol. 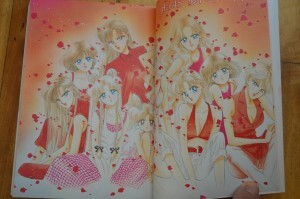 7, vol. 8). 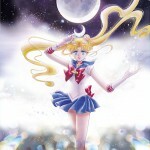 This entry was posted in Sailor Moon Manga and tagged Naoko Takeuchi, Sailor Chibi Chibi, Sailor Jupiter, Sailor Mars, Sailor Mercury, Sailor Moon Manga Complete Edition, Sailor Pluto, Sailor Saturn, Sailor Venus by Adam. Bookmark the permalink.